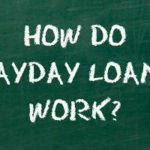 There is a list of terms for Payday Loans process. MAKE SURE YOU FULLY UNDERSTAND THE PROCESS OF CASH ADVANCE BY READING THESE DEFINITIONS. ACH – Automatic clearing house, and is generally a method used to transfer funds to and from bank accounts. ARP or Annual Percentage Rate – A yearly rate paid for a credit. This is different from contract interest rate. Balance – The amount remaining to be paid. Bankruptcy – Inability to pay debts. Bankruptcy is a legal proceeding where a person or company becomes insolvent and is not able to pay off obligations. In the US bankruptcy falls under federal jurisdiction. There are 3 types of bankruptcy. Budget – A written plan or record for a person or company’s income and expenditures during a specific frame of time. Caps – The established maximum amount of money one party pays to the other under the contract. Cash advance -The amount of money a borrower gets from a financial agency in case of financial emergency. A short-term loan meant to bridge the gap between paychecks. Features a certain amount of interest rates. Charge off -The process of writing off debts or loans from a borrower as they are deemed uncollectible. Being sold or given to a collection agency the debt remains collectible. Checking account – It is a deposit account at a financial institution that allows you to withdraw and deposit money. The money can be withdrawn either by writing out a check or using ATM. A checking account is slightly different from other types of account. Collateral or Security – An asset which is pledged as security for a loan.If a borrower fails to fulfill the terms of a loan agreement, the collateral may become the property of a lender. Compound interest – Generally this is interest calculated on the initial principal plus the accumulated interest of previous periods of a deposit or loan. Co-signer – If you willfully sign for another person’s debt, you become a co-signer; it involves a legal obligation to repay a loan. Credit – An agreement to pay for received goods or services, usually with interest. Credit application – A request, either verbal or written, for giving or extending credit. Sometimes, an application fee is charged to cover the costs of processing a loan. Credit bureau – An agency which collects credit information on prospective customers and reports customer’s’ credit history to lending institutions. TransUnion,Experian, and Equifax are among the largest credit reporting agencies in America. Credit card – A plastic card issued by a bank or business which allows a holder to make payments or buy goods and services on credit. In case of outstanding balance interest has to be paid. Credit counseling – A process which involves providing education or advice to consumers about how to avoid debts that can not be repaid or get their financial back on track. Credit limit – is the maximum amount of credit a lender or financial institution will allow a borrower on a particular line of credit. Credit line – An agreement which is arranged between a bank or another lender and a customer that establishes the maximum amount a customer can be allowed. Credit report -This report is a summary of your credit history, which includes outstanding debts, bankruptcies, etc; it helps potential lenders to evaluate whether you are a good credit risk. Creditor – A company or a lending agency you borrow from or owe money to. Debit card -A card issued by a bank or some other financial institution which allows its owner to make automatic withdrawals from a bank account to make purchases or receive cash. Debt – The amount which is owed to an individual, company or organisation. Debt Consolidation – It means a strategy which is sometimes used by people to improve their debt management issues. The process of taking out a loan that pays off two or more loans. Default – The failure to make payments on a debt or meet the terms the loan agreement. Delinquency – Failure to make a payment by the due date. Direct Deposit – Electronic funds that are deposited directly into your bank account rather than through a paper check. Equal Credit Opportunity Act – a federal act which outlaws any type of applicant discrimination. Under the Act, lenders have to consider only a customer’s creditworthiness. E-Signature – Mainly referred to an electronic/digital signature. Normally used as a legal equivalent of a written signature. The E-sign bill was passed in June 2000. The Fair Credit Reporting Act – This is a federal law that regulates the collection, dissemination and use of consumer information, including credit information. Fair Debt Collections Practices Act – This is a federal law intended to protect people from abusive or harassing debt collection practises. FDIC or Federal Deposit Insurance Corporation – is the US corporation that insures deposits against bank failure. If a bank is a member firm, FDIC insures deposits of up to $250,000 per institution. Finance charge – Any fee representing the cost of credit or borrowing. A fixed interest rate – A rate of interest which does not change either for the entire term or for the part of the loan term. Foreclosure – This is a legal process where collateral that has been pledged for a loan can be sold so that a borrower could repay the loan in case of default. Installment loan – This is a loan that has to be repaid with interest in equal periodic payments. Judgment – This is usually made by a court against a debtor. It usually defines who wins or loses the case. Late payment fee – This is the amount of money a customer has to pay in case payment is not received in due time. Lease – This is a legal contract entitling a consumer to use or occupy some property during a certain period. The asset needs to be returned when the lease term is over. Lender – A a person, agency or a firm that offers money or loans to people at a certain interest rate. Liable – having legal responsibility. Lien – The right to hold another person’s property as collateral for a debt to insure the debt is paid off. Loan – Any amount of money that is lent with added interest. Loan Agreement – This is a legal contract between a borrower and a lender which regulates the conditions and the terms of the loan. Mortgage loan – This is a loan secured by real property. 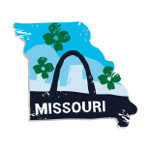 Public Record – This is any federal, state or local information available for public inspection. It includes a person’s financial history of financial obligations, child support and alimony. Refinance – The process of repayment of one loan by taking out another one. It allows a customer to pay a lower interest rate. Repossess – To take back possession of property for non-payment or to restore ownership of something to someone. Right of rescission – right of a borrower to void the contract within three working days. Savings account – The money which is held with a financial institution. Savings accounts will earn interest on money kept in this account. Secured loan – is a loan with collateral. The borrower pledges his assets or property to the creditor which will be sold if he is defaults on the loan. Simple interest – The type of interest which is calculated as a simple percentage of the original principal amount. Title – A document which gives you the right to own tangible or intangible property. 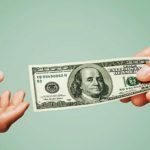 Truth in Lending Act – This is a federal law requiring lenders to disclose to their potential borrowers all terms of loans, including the actual cost of the loan. It is also called Consumer Credit Protection Act. 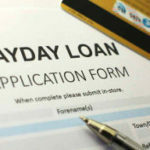 Unsecured loan – This type of loan is not secured by an asset or lien and has no collateral; it is usually given on the basis of a borrower’s promise to pay back. Variable interest rate – This is an interest rate which changes periodically depending on the current index, like a prime rate. Yield – Mainly used for an effective rate of return on investment which is paid on money market accounts, bonds or savings.